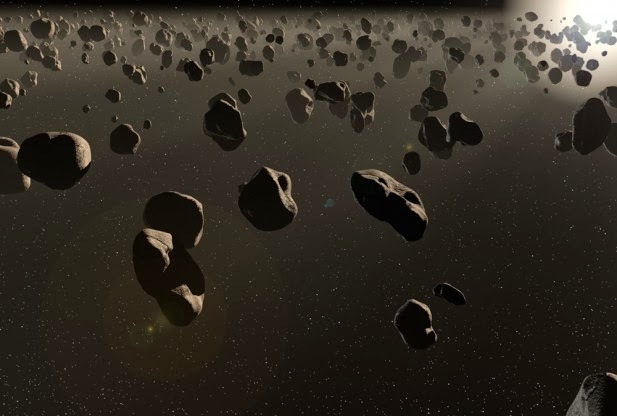 Scientists from Rensselaer Polytechnic Institute (RPI) in New York have published new research which they claim definitively refutes existing theories as to how the biomolecules were able to form inside of asteroids. Wayne Roberge, a professor of physics at the RPI School of Science, and his colleagues state that they have developed a new theory based on a fuller, more complete understanding of magnetic fields and solar winds in the early solar system. In addition, their research focuses on a mechanism known as multi-fluid magneto-hydrodynamics – a specialized variation of magneto-hydrodynamics, or the study of how plasmas and other charged fluids interact with magnetic fields. According to the researchers, the more specialized version of the science applies in situations where the plasma is weakly ionized and neutral particles behave distinctly from the charged particles. With these mechanisms and tools at their disposal, Roberge and graduate student Ray Menzel set out to explain the ancient heating of the asteroid belt, and investigate what actually caused molecules produced by living organisms to form inside them. Writing in Monday’s edition of The Astrophysical Journal, he and Menzel set out to re-examine and refute one of the two decades-old theories that attempted to explain how asteroids were heated during the early solar system. One of the theories involved the same radioactive process that heats the interior of Earth, while the other involved the interaction of plasma and a magnetic field. It is that latter theory, which is currently still taught to astrobiology students, that the RPI researchers turned their attention to in their recently-published paper. 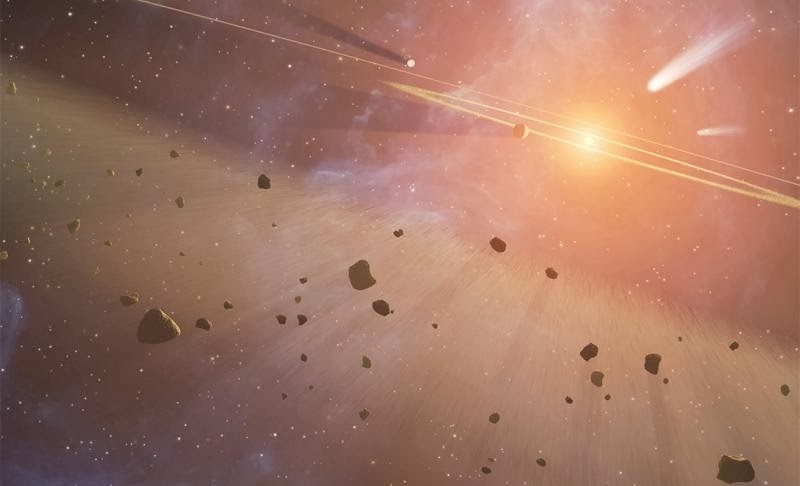 “Although radioactive heating of asteroids was undoubtedly important, current models of radioactive heating make some predictions about temperatures in the asteroid belt that are inconsistent with observations,” the Institute said. The second theory was based on an early assessment of the young sun, as well as the notion that an object that moved through a magnetic field would experience an electric field. Based on the theory, when an asteroid made its way through the solar system’s magnetic field, it too would experience an electric field. As a result, electrical currents would be pushed through the asteroid, heating it in much the same way that the wires inside of a toaster are heated by the same type of currents. While Roberge called the theory “a very clever idea,” he added that there was “a subtle error” in the application that they correct in their study. According to the researchers, the solar wind and the plasma stream it produced are less powerful than the early scientists assumed. Roberge and Menzel report that their work corrects the previous calculations based on modern understanding of the state of the sun during the early solar system. Roberge added that early theorists also incorrectly calculated the position of the electric field that would have been experienced by the asteroids. In actuality, he said, the field would have been everywhere – including in the asteroid’s interior. Using that information, the researchers have come up with a new possibility in which neutral particles would have interacted with charged particles by friction. “This creates a complex problem of treating the dynamics of the neutral gas and allowing for the presence of the small number of charged particles interacting with the magnetic field,” Menzel said.